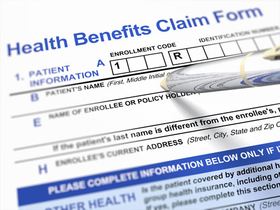 Will CMS' decision to extend non-ACA compliant plans help or hurt the market? The Trump administration will allow insurers and consumers to extend for an additional year individual and small-group health plans that do not comply with the Affordable Care Act's coverage rules. The insurance industry lobbied for the grandmothering extension. But some experts say it will hurt efforts to stabilize the individual market and moderate rate hikes by letting healthier people stay in plans outside the ACA-regulated insurance pool. The new CMS guidance, issued Thursday, allows grandmothered plans to operate until Dec. 31, 2018, at which time they must end. It's estimated that fewer than one million people currently remain in grandmothered individual-market plans in the three dozen or so states that still allow them. The rest of the states, including California and New York, already halted the sale of non-ACA compliant plans to strengthen their ACA-regulated markets. The Obama administration's original decision to allow grandmothering of plans was blamed by many for some of the individual market's problems. That decision was driven by widespread criticism of President Barack Obama for failing to live up to his famous promise that if people liked their health plan they could keep it. Under his administration's last extension, grandmothered plans would have ended Dec. 31, 2017. Tim Jost, an emeritus law professor at Washington and Lee University who supports the ACA, took a different view. “It's hard to see how this contributes to the stability of marketplace coverage, although it is apparently what the insurers want,” he said. “The policy is consistent with giving states flexibility, but it does mean that some of the best risks will remain outside the standard risk pool,” said Joel Ario, managing partner at Manatt Health who served in the Obama administration setting up the ACA exchanges. The healthcare industry has urged the Trump administration to take steps to stabilize the individual insurance market while it and Congress work on repealing and replacing the ACA. Since last month, however, the administration has sent mixed messages on whether it wants to steady the ACA markets or dismantle them. Trump issued an executive order in his first week in office instructing federal agencies to go as far as they legally can go to roll back the ACA. Then, earlier this month, HHS issued a proposed rule intended to make the individual market more financially viable for insurers by tightening enrollment eligibility and easing some administrative burdens on insurers. That was in response to warnings by plans that they might exit the market at the end of this year, potentially causing millions of Americans to lose coverage. Premiums for non-ACA compliant plans may be cheaper than for compliant plans because they presumably have healthier members who signed up when insurers were still allowed to screen people for pre-existing medical conditions. --charge more based on gender or pre-existing condition. --not meet standards for guaranteed renewability. --not cover essential health benefits such as prescription drugs or maternity care. --not limit annual out-of-pocket spending. --not meet standards for participation in clinical trials.